Soft drinks giant, Coca-Cola Nigeria Plc on Tuesday launched its new Fanta “Play It Better” communication campaign in Lagos. The campaign, which is scheduled to run for 11 months on different media platforms including; television, radio, out of home, digital and print, will feature different advertisement with five major Nigerian languages- English, Yoruba, Hausa, Igbo and Pidgin. Speaking at the campaign unveiling on Tuesday, February 16th at The Marquee, Federal Palace Hotel, Victoria Island, Patricia Jemibewon, Marketing Director, Coca-Cola Nigeria said, the Fanta “Play It Better” campaign will connect with its consumers via its various digital and social media platforms and experiential sampling activation. 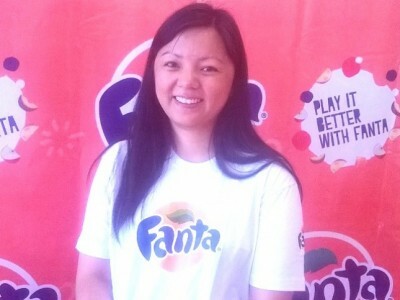 She listed the key attribute of the Fanta brand as Play, Fun and Excitement. “Our new campaign brings these attributes to life in unique way and connects even better with Fanta consumers,” she said. “The new Fanta brand campaign prominently features the well known Fanta characters who are now aged up in their teens, Maude, Tristan, Gigi, Floyd, Andy, Todd, The Lhava Twins, Lola and Sun. “Through our experiential sampling activations, we will take our exciting campaign directly to our consumers and also give them the opportunity to enjoy ice-cold Fanta. Sampling activation will be held in secondary schools and other teen locations around the country. “Our vision is to create more play in the world and for everyone to experience the fun of the brand. “Nigeria is the strongest market for Fanta, we make sure we produces good quality putting lot of research to give the best taste. The quality from the drink and marketing is high quality. She also said: “We have a brilliant bottling company – Nigerian Bottling Company; a great tasting product and we invest a lot behind the marketing”.